This year for Halloween we made a stained glass pumpkin and we loved it! It was such a cute decoration and my son loved hanging it in the window, so with Christmas approaching I thought we’d give suncatchers another try and we came up with this cute stained glass Christmas tree! 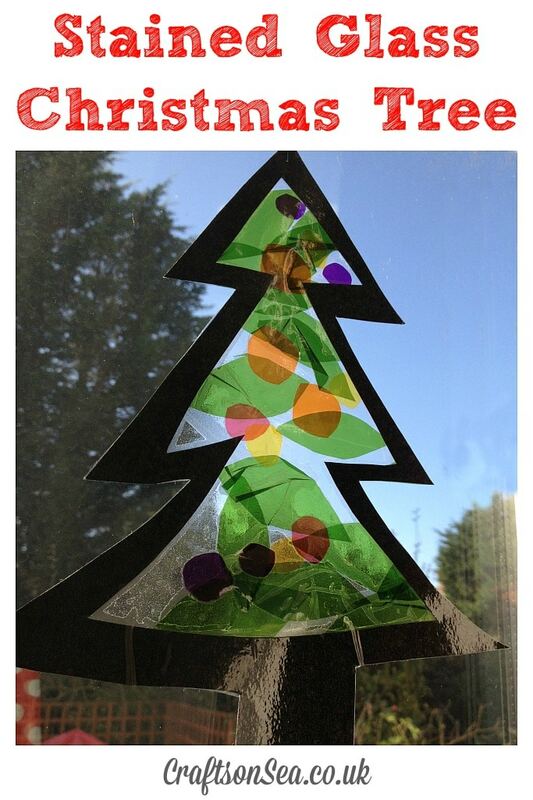 On your black paper draw a simple silhouette of a Christmas tree and cut it out. I left the trunk of the tree filled in as I knew that all the celophane would end up there otherwise! Cut two pieces of sticky back plastic a bit bigger than your tree, unpeel the backing from one to be the one you will stick to. Because it’s sticky this has a tendency to get stuck to arms, clothes, everything so to keep it in place on the table I stick down each corner using a bit of washi tape of sellotape. Let your kid put the tree onto the sticky back plastic and decorate it with the branches and lights. Once they’re done remove the backing from the other bit of sticky back plastic and pop it on top to seal everything in place. Cut round your Christmas tree shape and using a needle and thread make a little loop at the top so you can hang it in your window. Ta-da! 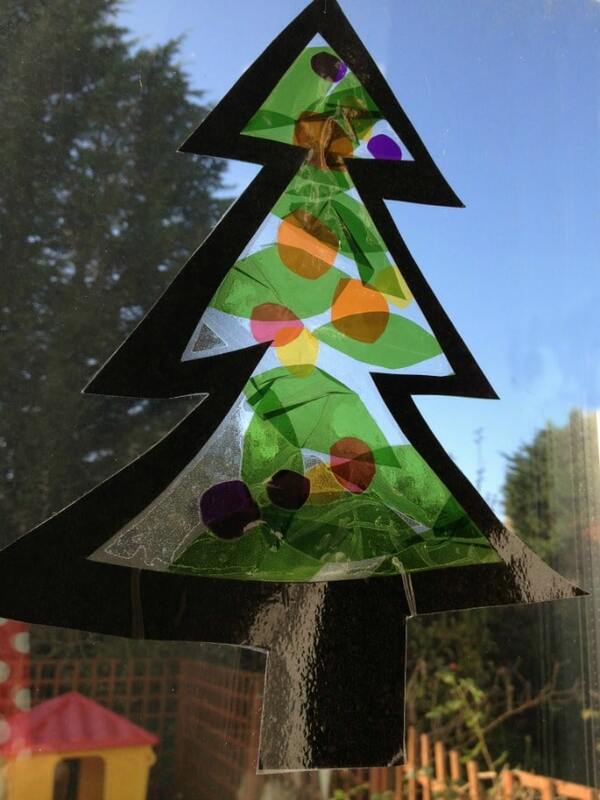 Your stained glass Christmas tree sun catcher is complete and is looking super cute and festive! 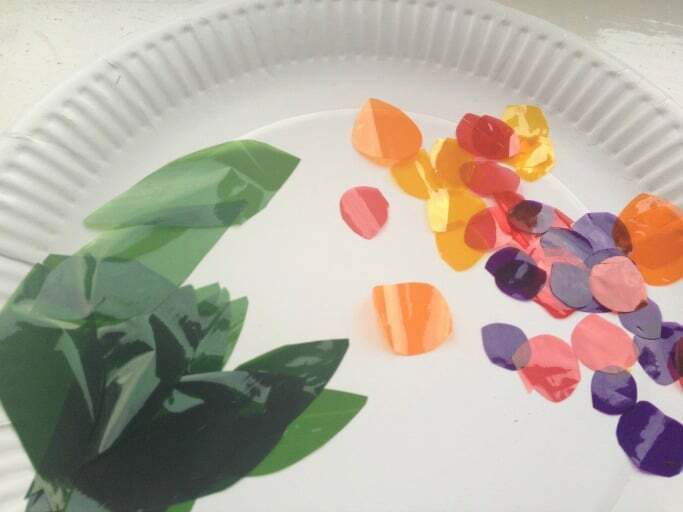 What a lovely effective fun, simple craft. It looks really beautiful .